Unhappy Bosnia and Herzegovina capital, Sarajevo, citizens have the rare chance to come first on some list, but not of a good one. According to official information, in the last few days, the air in Sarajevo is the most polluted in the world, more so than that of the Chinese capital, Beijing. As US Embassy to BiH installed an air quality monitoring system in Sarajevo, it is obvious that the pollution on the last day of November was “good” to “moderate”, but on the evening of the same day, in just a few hours, the system registered amounts of pollution “hazardous for sensitive groups” and “unhealthy”. The following day, December 1, the system indicated that the air pollution reached a “very unhealthy” status and that the amount of pollutants is the biggest in the world. According to the Environmental Protection Agency, Air Quality Index values over 300 trigger health warnings of emergency conditions. The entire population is even more likely to be affected by serious health effects. This index in Sarajevo on Sunday was 268, measured at 2 pm. Due to the dense fog, the Sarajevo International Airport had to cancel several flights from and to the airport. 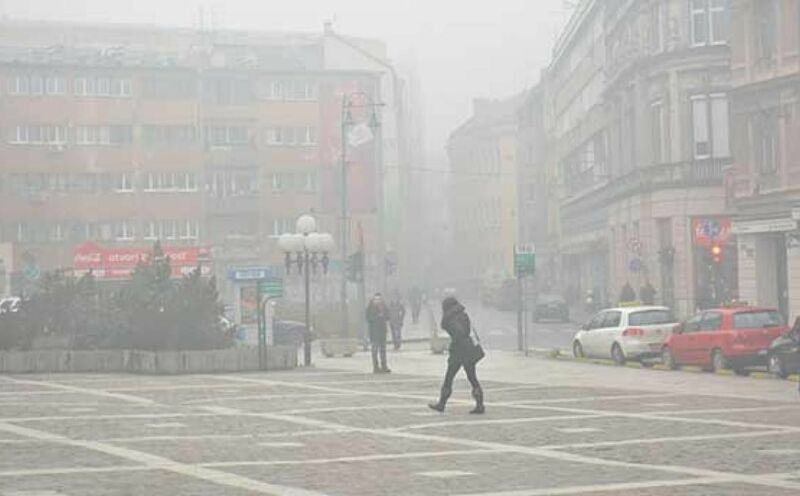 The competent institution for air quality measuring in the Canton Sarajevo issued recommendations for citizens regarding the restriction of movement out in the open in this period. This applies particularly to pregnant women, elderly people, preschool children, chronic patients and other groups who are most sensitive to air pollution. “Citizens and companies are appealing to reduce the use of solid fuels, as well as the use of cars as much as possible”, state the expert body. Doctor Teufik Hadžiosmanović told the media that the size and quantity of harmful particles in the air is such that it is simply impossible to protect against. “Some special anti-pollution masks are sold, but I do not think they can protect someone from contaminated air. The only “cure” for this condition is to go to the mountains of Trebević, Crepoljsko, Bjelašnica and stay there until the situation stabilizes. It is also important to say that wearing a mask can also be counterproductive, especially if these are surgical masks, which are usually not properly maintained, carried several times during the season. This increases the possibility of bacterial infections”, Hadžiosmanović added.